Well, I’m three whole days late for RA Blog Week. Unfortunately, life has simply gotten in the way of writing anything that can’t be classified as actual “work.” I hate that, as I love to write. 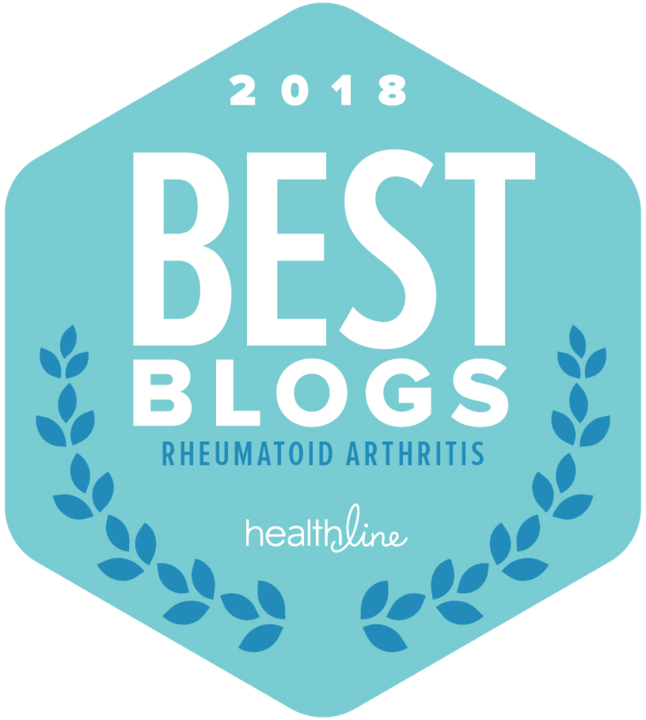 I particularly love to write posts and articles I hope will be helpful to others who have rheumatoid disease (arthritis), whether they’re RD veterans or newbies. So, without further ado or procrastination, I’ll get started. Today is Day 4 of RA Blog Week. 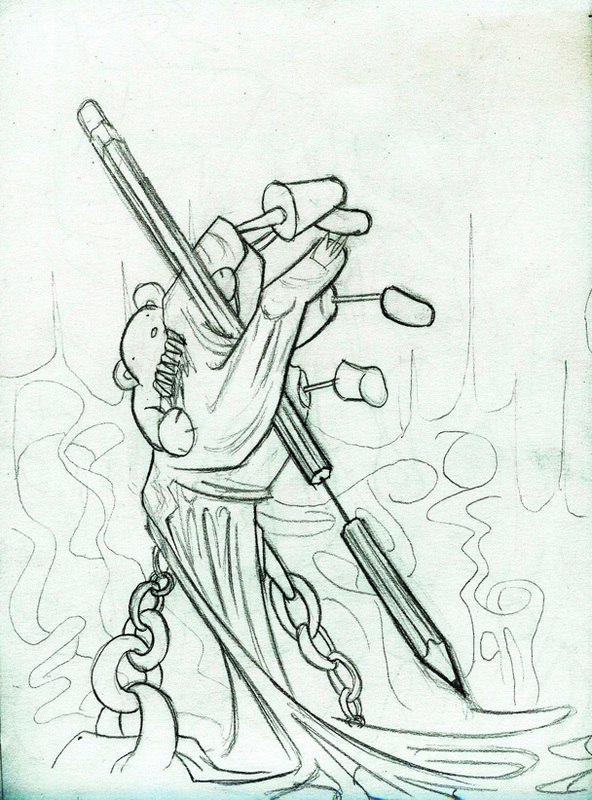 The prompt is: Five things I have learned – write about the five things you have learned about yourself, or RA. Oh, over the 28 years I’ve had this disease, I’ve learned. I’ve learned a lot. First of the Five: I Never Dreamed I Was This Strong. Starting about six months before I was diagnosed, I experienced increasingly painful and disabling flares. They didn’t stick to one place. Instead one flare would be in the knuckles of one of my hands; the next in one of my knees, the next in a shoulder. All of themlasted from two to four days. Sometimes there was a stretch of time between them–a day, or a week–sometimes, there wasn’t. 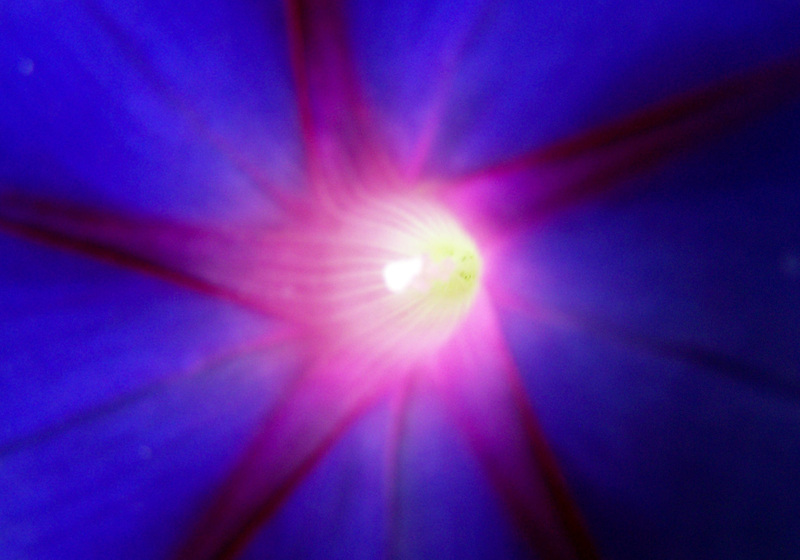 The intensity of each flare varied. They were completely unpredictable. And yet I continued to manage all the duties and responsibilities of being a wife and mother, including the housework, the grocery shopping, playing with my daughter, and participating in family outings. I also worked full time at a job that frequently required me to be on my feet and moving. When I wasn’t doing that, I was at my desk, writing and typing the articles I’d just gathered the information for. I did it all with–and in spite of–those awful RD flares. There were times, of course, when one would strike a joint that would prevent me from walking, typing, or moving, and I’d have to call in sick. I hated to do that, though, and to make up for it, I worked longer hours during days I was more able. I never once missed a deadline or let anyone down, and because of that, my boss and co-workers kindly excused my absences. At home, I still did most things, most of the time, but once in a while I needed help from my husband. I hated that, too, though, and I didn’t give myself permission for that very often. I look back at that time and wonder how in the world I did it. 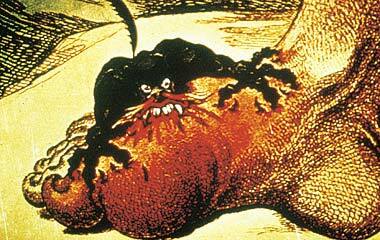 Since then, my disease has changed, become somewhat milder though just as constant. I have, indeed, learned how strong I can be when I must–but I’ve also learned that there’s no shame in asking for help. This disease is serious. When you’re in pain, fighting severe fatigue, and feeling like bloody hell, you don’t have to be a hero, even if you can be one if you have to. Give yourself a break. Rest. You’ll feel better overall if you do. And the chances for burnout–depression–are less that way. Second of the Five: I Never Dreamed I Was This Weak. The flares my rheumatoid disease sometimes causes can knock me down for the count, making it impossible for me to do much of anything but whimper and wait for them to end. When this happens I feel incredibly weak and useless. If I were a Neanderthal, my tribe would abandon me to die, alone in the elements. Good thing I’m not a Neanderthal. But I’d be lying if I sometimes didn’t feel like I ought to be abandoned to my fate. Like anyone else, I like being a useful, productive member of my family, my community, and my society. I feel uncomfortable when I can’t. I was raised to feel guilty if I sat around doing nothing, and even today, decades past childhood, that training remains ingrained in my very being. I’ve learned, though, that resting and allowing the RD flare to follow its course has nothing to do with being lazy or weak, no matter how much my brain may tell me otherwise. Instead, resting helps my immune system calm itself down and, if I’m lucky, call off its erroneous inflammatory attack on my poor synovial joints and other soft tissues earlier than it might otherwise. “Weakness” can refer to a physical state or a mental one. RD can affect our physical bodies tremendously, but in most cases, we’re strong enough to keep going anyway, even when it’s smarter not to. The mental side of weakness is, I believe, an artificial construct of our culture, which expects us to be strong–physically and mentally–no matter what. It rarely accepts excuses. But this is terribly harmful to all of us, whether we have RD or not. When we’re ill, we can’t heal or regain our physical strength without rest and recuperation. It’s silly and cruel expect otherwise. I never dreamed I could be this weak–or, as I wrote above, that I could be this strong. Third of the Five: Always, Always Look for the Gifts. One day, a year or so after diagnosis, I was outside walking our dog, Max. My left ankle was flared, so doing this was incredibly painful, and I was feeling particularly low about myself and the world that day. Behind our flat was in was a long expanse of shaggy lawn, bordered by an old, very thick and high hedge that was always filled with birds. It also harbored hedgehogs. I loved this area–and so did Max. While he was doing his business and my ankle throbbed with ugly, angry intensity, I looked down and noticed a large, brown mushroom near my foot. There was another one five or six inches away from it. 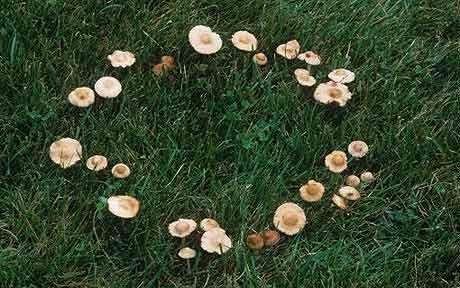 Suddenly, I remembered reading about “fairy rings” as a child, those strange and wonderful circles of mushrooms that bordered the places where fairies held their nightly celebrations, dancing and singing and making merry before the sun rose and they went back to that other, mystical dimension in which they lived most of the time. Could this be one of those magical rings? Well, of course not. That was just a silly fantasy for children. Max tugged at the leash, vanishing my daydream in an instant. But my mood had changed–perhaps, forever. This, I thought as I slowly limped back to the front of the building with him, and then, even more slowly up the three long flights of stairs to the door of our flat, was a Gift. It was so ordinary and simple, but so extraordinarily beautiful, that it was Huge. From that day on I’ve looked for the Gifts life offers us every single day, even if it’s as simple as a flower growing in a crack in the parking lot asphalt. Why? They fill me with wonder and awe, or maybe they make me smile or laugh. The best thing is they make me forget–even if it’s just for a few minutes or even a few moments–my pain, my cares, and my worries. These Gifts are always there for us, free and clear, no matter where we live or what we do. We only have to open our eyes and see them. Fourth of the Five: Yes, I Can Give Myself a Shot. A year ago, my rheumatologist and I agreed that the cocktail of disease-modifying anti-rheumatic drugs (DMARDs) I’d been taking for several years was no longer working to keep my RD under adequate control. He prescribed a biologic that had to be given as an injection once every two weeks–and I’d have to do it myself, at home. This is not me. But this is how the auto-injector works. having a nurse or technician wield the sharp things, but quite another to do it myself, to myself. Well, fortunately the drug my doctor prescribed comes in an auto-injector, a tube-shaped mechanism that drives the tiny needle into the skin and injects the medicine automatically. The best part? 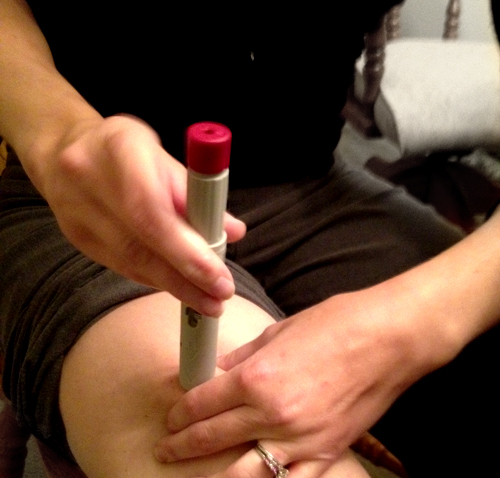 To do it, you just press a button–and you can’t see the injection at all, since it’s hidden within the tube that’s pressed against the injection site. Sure, the first couple of jabs were kind of scary. But it didn’t take many more before I felt pretty comfortable with the whole process. Since that drug didn’t work, I’ve since changed to another one. It, too, requires self-injection, except now it’s once a week instead of twice a month. No problemo! I just do it now without thinking too hard about it. Someday, I might have to inject myself with a bona-fide hypodermic syringe. While I’m not looking forward to that, and in fact, I’m hoping I never have to, I know I can do it if I must. Having RD has helped me learn a lot of things about myself–even that I can face the thought of jabbing myself with needles, especially if they’re going to make me feel better and slow the progression of the disease. Fifth of the Five: I Can–and Should–Share What I’ve Learned. I’ve learned many more things about RD and about myself over the years. Much of what I’ve learned about the disease, I’ve learned because of the Internet, and most of it after 2005. It opened my eyes and my mind, and I’m so, so grateful for the education. Now I know why this disease does what it does. I know what’s going on in my body when my joints flare. I know that it can affect other soft tissues in my body, as well, including my tendons and ligaments, the bursae, and organs like my heart and vascular system. Knowledge, they say, is power. I believe that. I’ve become much, much stronger since I started studying the disease that’s dominated so much of my life since my early 30s. I’m not going to go into the many things I’ve learned about myself since I was diagnosed. 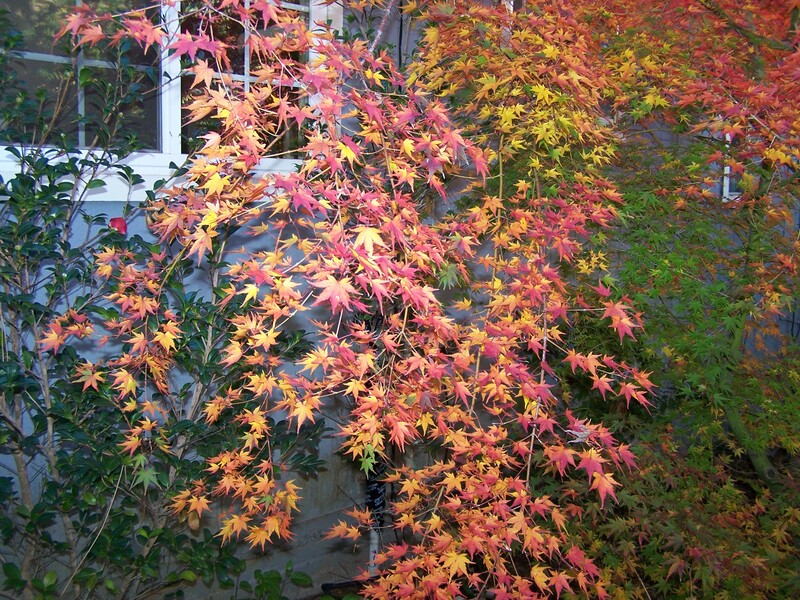 I’ve written about a myriad of them here in RheumaBlog, and you’re welcome to read about them if you wish. But the biggest realization has been that I have an obligation to pass on and share what I’ve learned to others. I remember so clearly how bewildered I was when I was given my diagnosis. I remember how fearful I felt when the flares were horrible, and how totally demoralized I’d get because my feet hurt so bad every single day, whether another joint flared or not. There wasn’t much information available to the layperson about the disease back then, so I struggled on in ignorance. What I would have given to know what I know today. So I try to share it as best as I can, now. 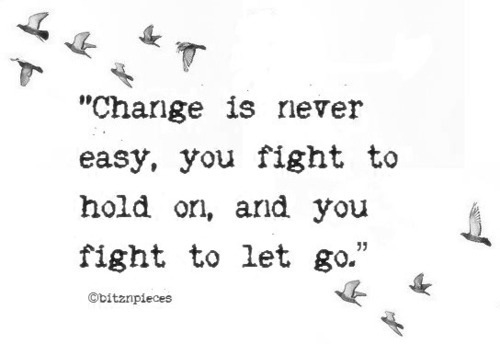 This last, fifth Thing I’ve Learned may just be the most important lesson of all. 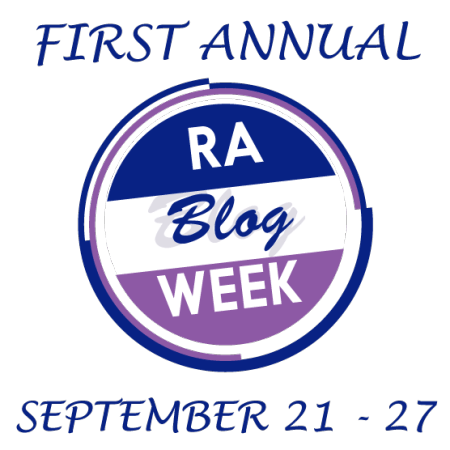 I hope you’ll check out the many posts my fellow RD bloggers–more than 40 of them!– have written for the most excellent RA Blog Week, hosted by His Cheeriness, Rick Phillips. Most of them actually started on Day 1, and every one of them is so worth your time. 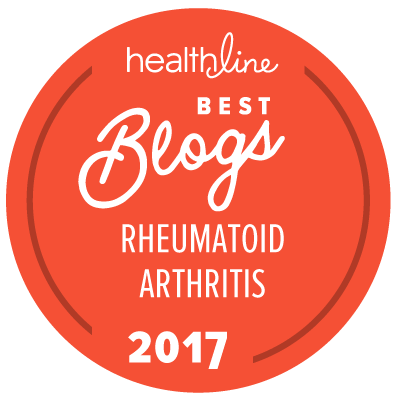 You can never learn too much about rheumatoid disease–or yourself. Wishing you the very best as your day goes on. Don’t forget to look for the gifts, OK?